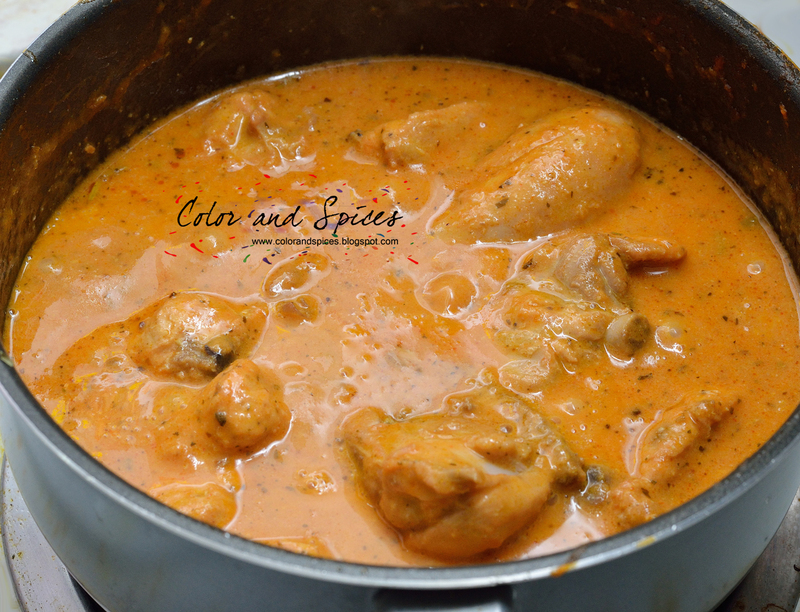 Color and Spices: Butter Chicken.. 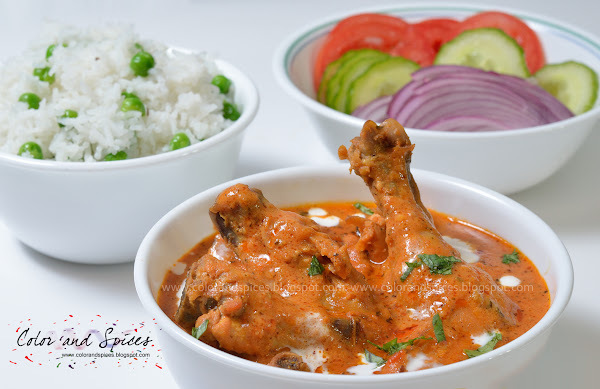 Butter chicken is one of the most frequently ordered dish in an Indian restaurant. This tomato-based butter-flavored gravy is favorite among many of us. It is said that this dish originated in the famous restaurant 'Moti Mahal', in Delhi, India. 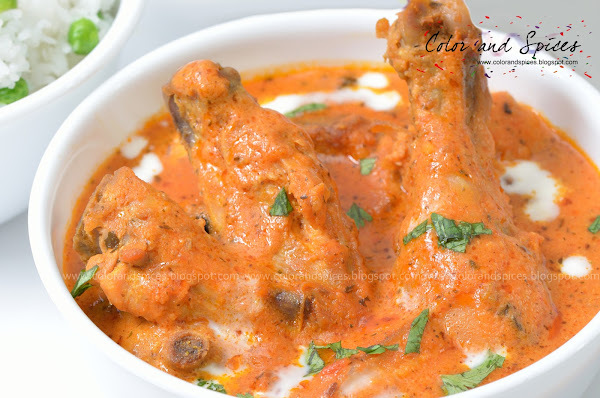 A chef in that restaurant used left over tandoori chicken to make a quick curry using a tomato and butter based gravy and the butter chicken was born. 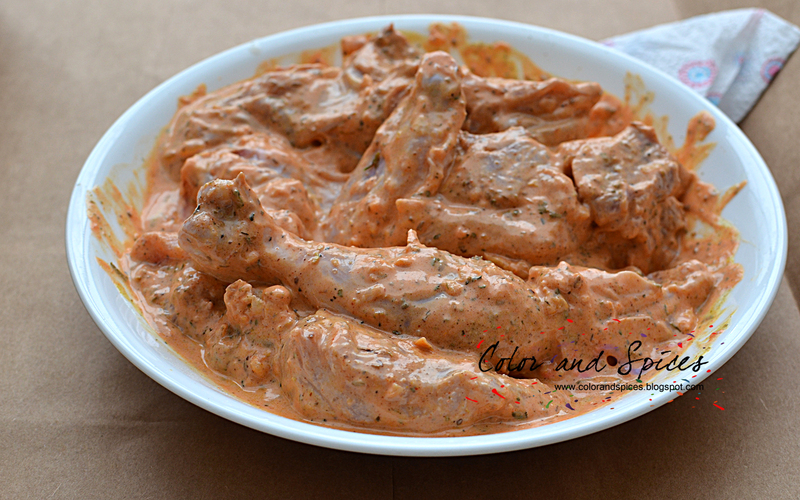 I always have been an avid fan of butter chicken. The creamy smooth gravy with buttery flavor is my all time favorite. But I never found a satisfactory recipe to make that at home. Moreover, most of the recipes I came across, suggested use of food color to bring that restaurant like bright orange color of the gravy and I am usually not very keen about using artificial color in my food. The other day I stumbled across a Khana Khazana recipe video in You Tube and my problem was solved. It was a video by Chef Harpal Singh Sokhi. He explained all the steps they follow while they make this dish in their own restaurant kitchen and the history behind this legendary dish very lucidly. He also shared the secret to get that amazing color without using any artificial color. I was hooked and wasted no time to decide to make Butter Chicken for our special Christmas dinner. I have posted the link of the video from You Tube below. 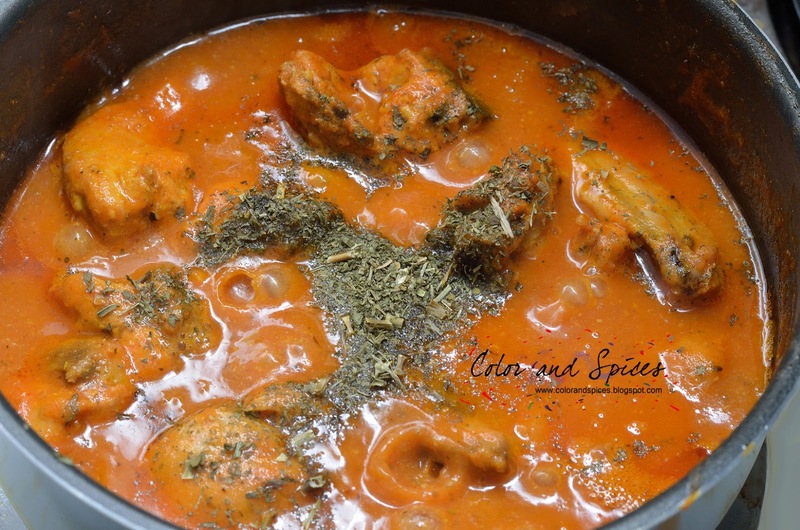 This recipe is very simple and involves few easy steps. 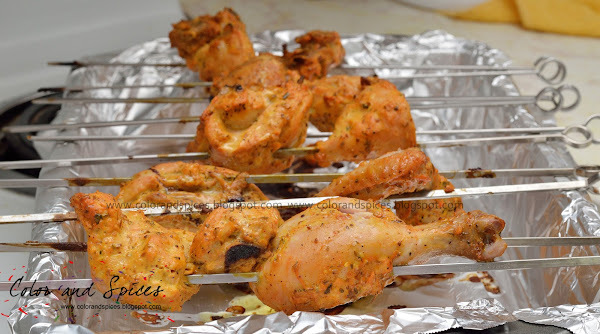 The first step is to make the tandoori chicken. next step is all about preparing the gravy and finally cooking the tandoori chicken in that gravy. Do not get deceived by the long list of ingredients, just try once and I am sure you will say it is so easy . 1. Clean the wash the chicken pieces and pat dry with a kitchen towel. Marinate the chicken pieces with all the ingredients under 'the first marinade'. Cover and keep it for 20 min. 2. In a bowl mix all the ingredients under 'the second marinade'. 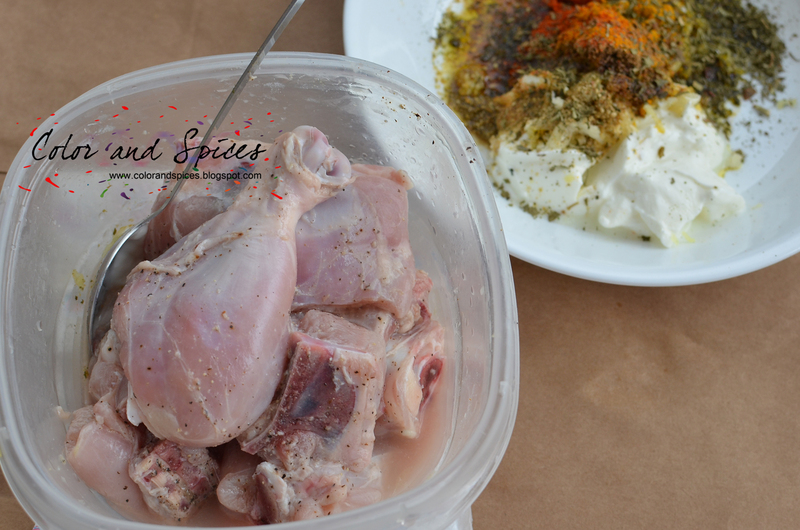 Marinate the chicken pieces in this, cover and keep it in fridge for 6-8 hrs or overnight. 4. After the chicken is done, keep aside. 5. 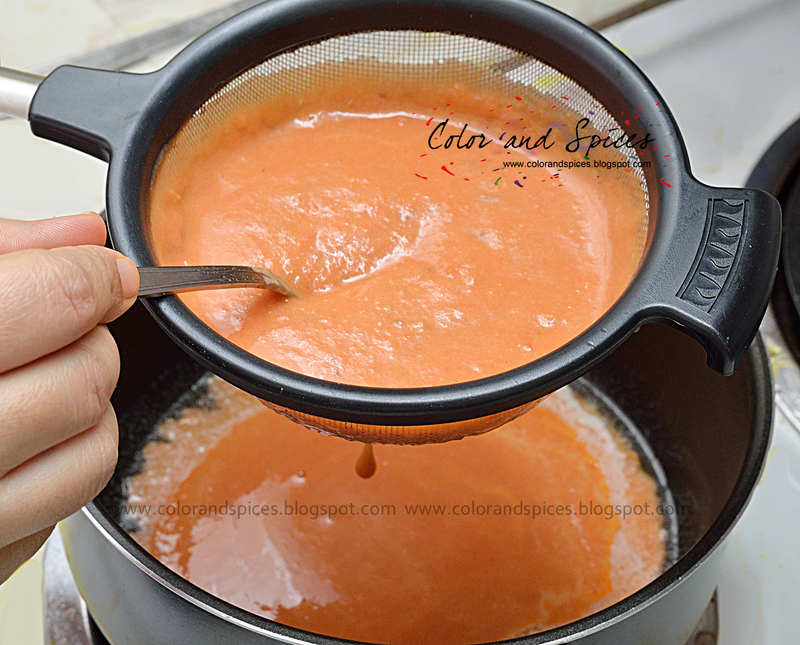 Preparing the gravy: Cut tomatoes into quarters. In a pan add 1-2 tbsp butter and 1 tbsp oil. As the butter melts add whole green cardamom and mace. 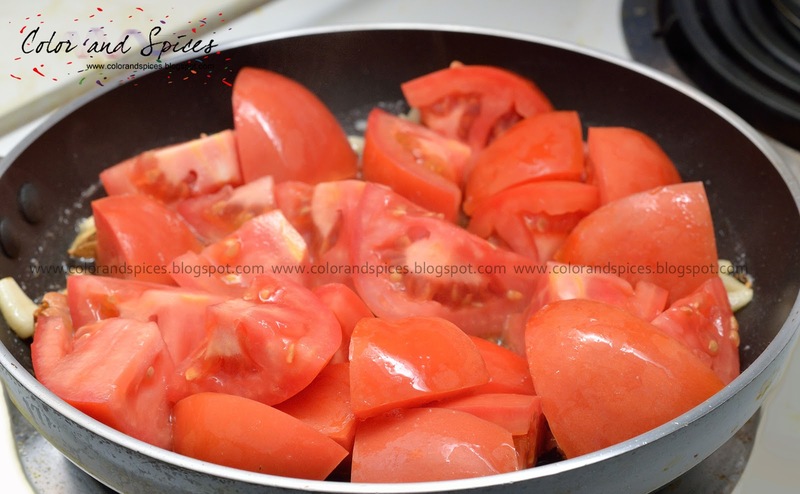 As the spices release nice aroma add the tomatoes. Cook over medium heat till the tomatoes are mushy. Let it cool down. 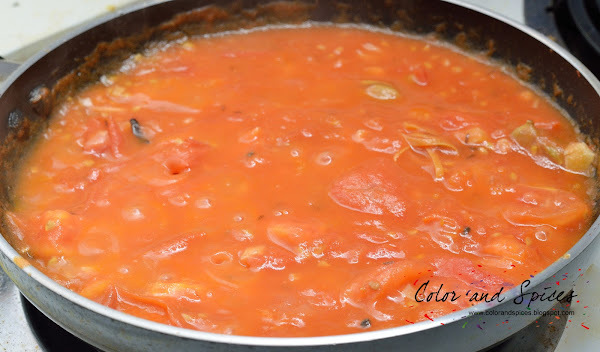 Make a smooth paste of the tomato. 6. In a pan add butter(3-4 tbsp), as the butter melts add julienned ginger and green chilies. Strain the tomato paste and add to pan. Discard the seeds of tomatoes, cardamom, mace etc. Reduce flame to low-medium and cook for 12-15 min. Add kashmiri red chili powder and cook for another 5 min. 7. Add the chicken tandoori pieces and salt. Mix well. Cook for 10 min. Add honey and mix well. Check the seasoning and adjust accordingly. 8. Add green cardamom powder, kasuri methi and mix well. 9. Add fresh cream, mix well. Switch off the heat. Serve with nan or roti or rice. 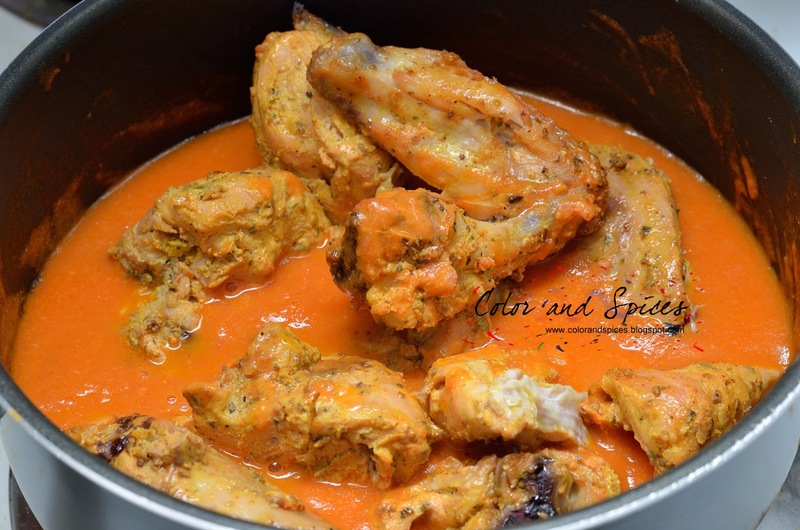 thanks for sharing such a drolworthy recipe.